So thrilled to meet fiber artist and sculptor Karen Ciaramella at the opening for Knitted, Knotted, Netted at The Hunterdon Museum of Art. 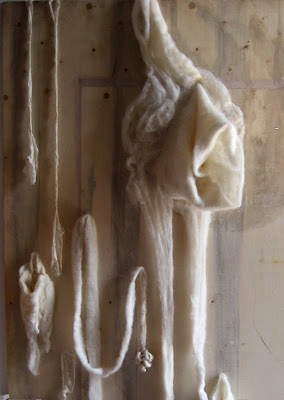 Her intuitive use of combed fleece and wool roving is more than magical - it is transcendent. 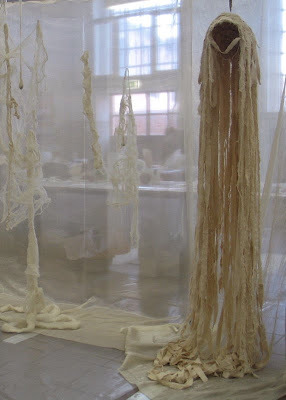 Karen studied fiber and textile art in the US and Italy as well as Eastern philosophy in India. 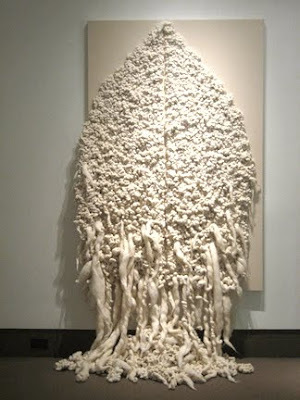 Her hands-on process reflects this interesting fusion of 'give and take' when it comes to working with organic materials. 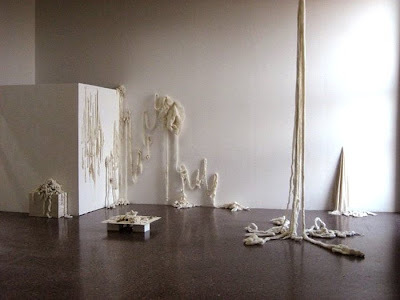 The artist will soon be exhibiting in the upcoming exhibit, Uncommon Threads at Seton Hall University's Walsh Gallery. Visit Karen Ciaramella's website to view more stunning work.